With the Washington state primary results coming in, the battle lines are being drawn over control of the state Legislature come the November elections. OLYMPIA — A pair of incumbent Washington state senators maintained small leads in Tuesday’s returns in two closely watched primary races. The results will shape the contours of this fall’s battle for control of the Washington state Legislature. Democrats hold a thin 50-to-48 House majority. In the Senate, Republicans hold power by a slender 26-23 edge. In the Senate, Democrats are hoping to win a handful of open and contested seats, including the one in the 41st District held by Sen. Steve Litzow, R-Mercer Island. That’s a district that has sent Democrats to both its House seats and voted strongly for President Obama in 2012. As of Tuesday night, Litzow narrowly led Democratic challenger Lisa Wellman, 48.7 percent to 47.7 percent. Republicans, meanwhile, are hoping to defeat incumbent Sen. Mark Mullet, D-Issaquah, in the 5th District. In Tuesday night’s returns, Mullet led challenger Chad Magendanz, R-Issaquah, who’s leaving his House seat to seek the Senate job, by just a few dozen votes. Mullet was pulling 50.15 percent of the vote, to 49.85 for Magendanz. The tight race left both candidates optimistic. “I think they’re in a real hard spot for November,” Mullet said, referring to Republicans. I think we’re in a great spot,” said Magendanz. 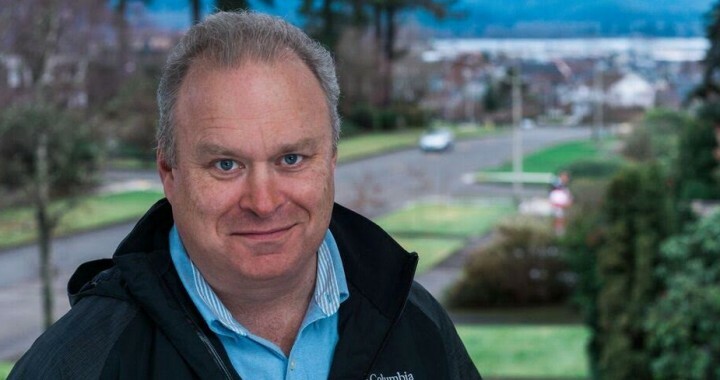 Democrats are also hoping to win the open 17th District seat to replace outgoing GOP Sen. Don Benton of Vancouver, most recently known for his high-profile advocacy of Donald Trump. In that race, Democrat Tim Probst had a narrow lead over Lynda Wilson, a Republican state representative, with 50.7 percent of the vote to Wilson’s 49.3 percent. In the 1st District, two Democrats and a Republican were vying for an open seat due to the retirement of Sen. Rosemary McAuliffe, D-Bothell. Republican Mindie Wirth led with 40.5 percent. Democrat Luis Moscoso had 29.9 percent, and Democrat Guy Palumbo 29.7 percent. If the GOP keeps the Senate and takes over the House, it will have the power to craft budgets and other policy and force Democratic Gov. Jay Inslee — if he is re-elected — to rely on his veto powers. If Democrats capture the Senate and improve their margin in the House, they might be able to pursue priorities such as gun regulation and climate-change legislation that have stalled in Olympia. In the 31st District House race to replace retiring Democratic Rep. Chris Hurst of Enumclaw, Republican Phil Fortunato was leading with 39.5 percent of Tuesday’s vote, followed by Democrat Lane Walthers with 37.3 percent. In the Snohomish County-area 44th District, Democrat John Lovick, a former Snohomish County executive, was leading Republican Janice Huxford with 52 percent of the vote. Huxford had 45.2 percent. The seat, vacated by Democrat Hans Dunshee, is in what’s considered a swing district. In the 45th District, incumbent Rep. Roger Goodman, D-Kirkland, had 62 percent, while Republican challenger Ramiro Valderrama drew 38 percent. In the 5th District House race to replace Magendanz, Republican Paul Graves led with 47.2 percent. Democrat Darcy Burner had 36.1 percent and Democrat Matt Larson had 16.7 percent. In another closely watched House race, in the 19th District, newly appointed Democratic Rep. JD Rossetti of Longview was locked in a contest with four other challengers. Two were members of his party: Teresa Purcell and Tim Sutinen. Republicans Jim Walsh and Val Tinney were also running. Tuesday’s returns showed Walsh narrowly leading, with Rossetti in second. In both 30th District House races Tuesday night, Democratic challengers were beating incumbent GOP Reps. Teri Hickel and Linda Kochmar, both of Federal Way. This story, originally published on Aug. 2, has been corrected. In the race for the 19th District House seat, Republican Jim Walsh was leading in Tuesday’s returns, not Democratic Rep. JD Rossetti. And Rossetti was in second, not Teresa Purcell.